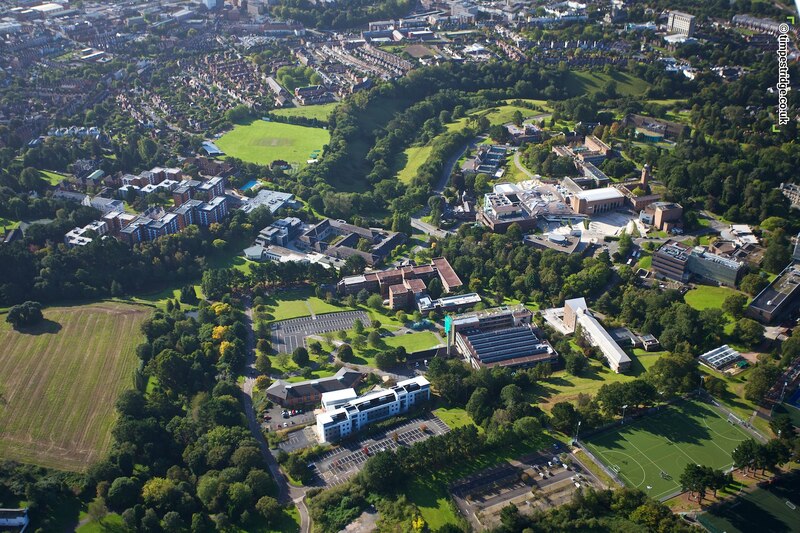 The University campus has changed dramatically over the last three years – I was responsible for photographing the ever-changing campus for the University from 2009-2012. 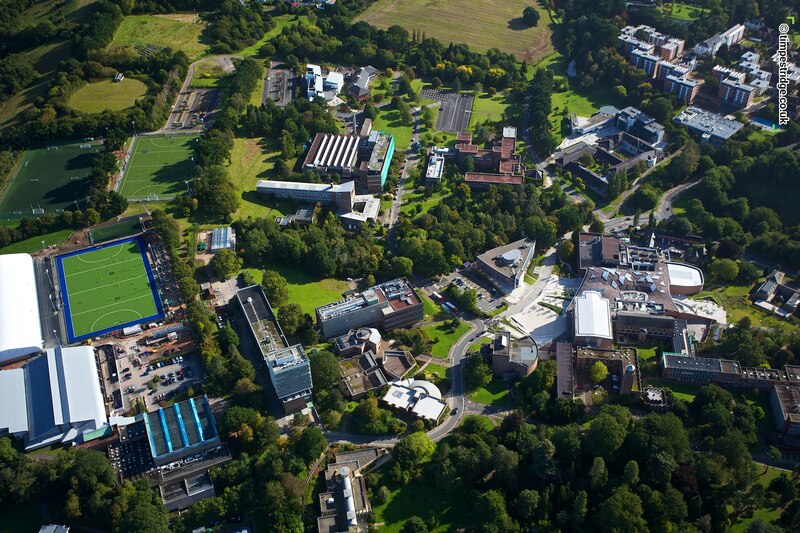 Major expansion has now largely been completed, new accommodation blocks have popped up, and a fantastic new forum. 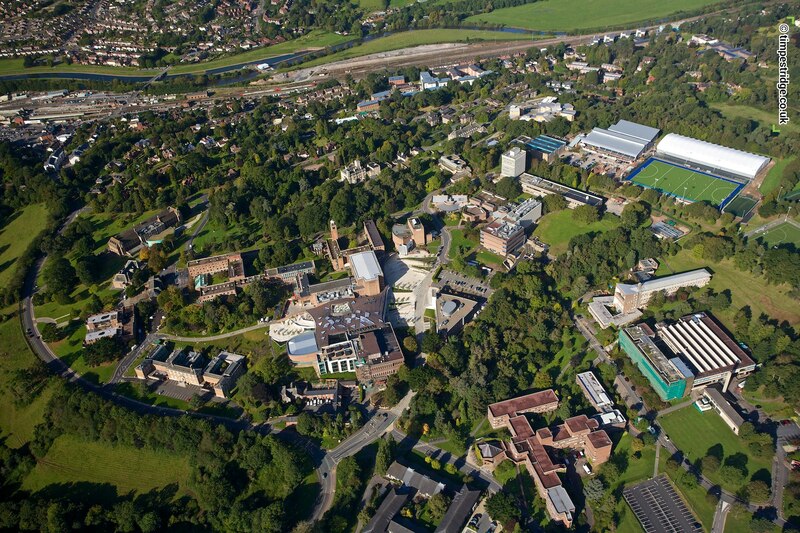 I’d been responsible for photographing all the construction work over that period, so I very keen to photograph the finished campus from the air. 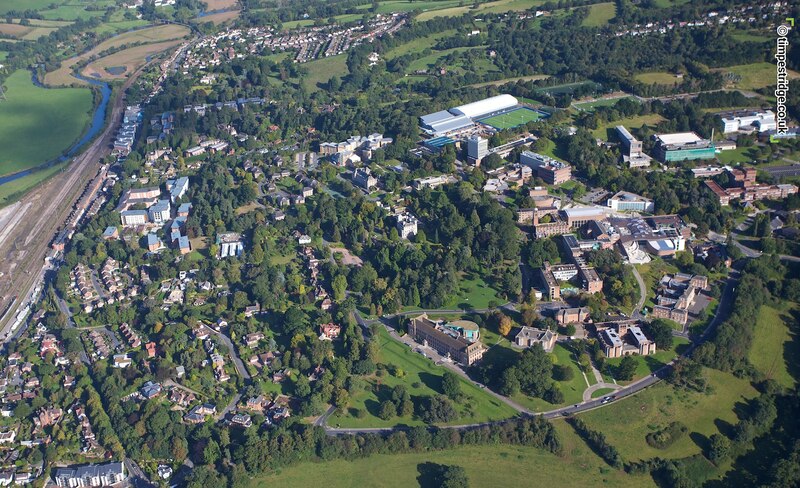 The brief was to deliver new aerial photography of Exeter University campus, including new accommodation buildings at Lafrowda, Birks Grange, and the new University reception area bridging the Great Hall and the Library. I was on standby for 3 weeks before the perfect morning came along, and I drove over to the airfield where the light aircraft is kept with one eye ahead of me, and one eye facing back looking at some bubbling clouds forming over Exeter. Tense was the word – if I got up there over Exeter and it clouded over badly, then the light would be awful, and the shoot would be over. The plane (which I chartered with a pilot) I used has a special custom door on the passenger side specifically to allow a camera lens to hang out in the breeze. Not that Bond, more A-Team. Once in the air, I used a Canon 5D mkIII with a 17-40mm L lens, fitted with a high quality polarising filter. You may not realise but I suffer from travel sickness if I’m not in control of the vehicle! And lo and behold, after 45 minutes circling quite dramatically over the campus, I went a little quiet and had to breath deeply for a few minutes. Thankfully, the nausea passed, and I finished off capturing the campus from a variety of different angles which I hope you'll see in print or on the web in the near future!